YOUR JUMBO MORTGAGE. YOUR PARTNER. Welcome to MortgageBase, your source for high balance, super conforming, jumbo and super jumbo loans for over two decades. Check out our new low rates for High Balance & Super Conforming Mortgages! We’re proud to cater to homeowners and buyers with a variety of financial needs. We understand that your situation is unique; we’ll take the time to understand your needs and fit you with the best mortgage for your home. Take a moment to learn more about high balance, jumbo and super jumbo mortgages, our home loan products, and the qualifications required to attain a jumbo loan—and ask for a free jumbo mortgage rate quote while you’re here! A jumbo mortgage is a home loan that exceeds $453,100 and a super jumbo mortgage exceeds $1 million. 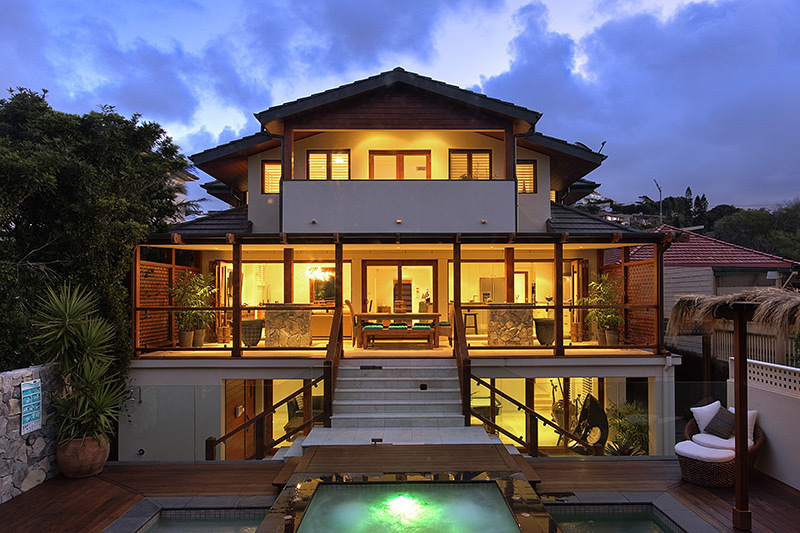 Here at MortgageBase, we can lend $10 million or more on your primary residence and vacation homes. We offer both jumbo mortgage refinances, as well as mortgages for home purchases. Interest rates are fixed for 5, 7, or 10 years for our jumbo and super jumbo ARMs; then the interest rate is subject to adjustment according to the index every year for the remainder of the loan. Jumbo and super jumbo ARMs provide a lower initial interest rate than a traditional jumbo 30-year fixed rate mortgage. Super jumbo adjustable mortgage rates are available through MortgageBase for loan amounts of $3 million and higher. Interest only jumbo and super jumbo mortgages have a period of time where the borrower is only required to pay the interest of the loan—there’s no obligation to pay the principal of the loan during this period. These mortgages allow for much lower interest only payments for the first 10 years of the mortgage. Interest-only rates are only available on our 5, 7, or 10/1 jumbo adjustable rate programs. After the initial interest only period, monthly payments go towards amortizing (or paying down) the loan for the remaining years of the loan term. As the name implies, your principal and interest payments won’t change for the term of the loan with jumbo and super jumbo fixed rate mortgages. Available in 30, 20 or 15 year terms. Who Qualifies for Jumbo Home Loans? Lenders seek out borrowers who are least likely to default on a loan over its lifetime. As such, lenders seek out buyers who have great credit, a good debt to income ratio, capital for a down payment. Your Credit: Lenders compete for borrowers who have great credit, and the better credit you have, the better rate you can earn on your home loan. To attain a jumbo or super jumbo mortgage, you may need to have a credit score over 700. Your Debt to Income Ratio: Borrowers are often required to be making more money than they’re spending. Debt obligations should only account for about 40 percent or less of your total income. Lenders seek borrowers who can pay their monthly interest, taxes, and insurance with their income. Your Capital: If you’re purchasing a home with a jumbo or super jumbo loan, you’ll need to have enough capital to place a down payment. Plan on putting down 20 percent or more of the value of the home that you’re purchasing. If you’re borrowing a larger amount, you may have to put 25 to 30 percent down on your home. If you’re refinancing, you’ll also need to have 20 percent equity or more to attain jumbo or super jumbo mortgage refi. Other factors: Lenders may also look at your income history, as well as your employment history, to assess the consistency of your income. If you’re considering quitting or switching jobs, it may be in your interest to wait until after attaining a mortgage. How do jumbo loans differ from traditional loans? Unlike traditional loans, jumbo and super jumbo loans are completely privatized, and they aren’t backed by Fannie Mae and Freddie Mac, government entities that secure mortgages. As such, jumbo and super jumbo loans aren’t subject to some of the rules put forth by Fannie Mae and Freddie Mac. Since jumbo and super jumbo loans exceed the highest attainable traditional loan value ($453,100), these loans aren’t government backed. Are rates higher for jumbo loans than traditional loans? At the moment, jumbo mortgage rates are comparable to traditional loans—you may even be able to attain a better rate with a jumbo loan. If you’re curious about the rates of our mortgages, you can get a jumbo mortgage rate quote today! What kind of property can I purchase with a jumbo loan? MortgageBase loans can be utilized to purchase or refinance a primary residence as well as a vacation, secondary residences and investment properties. Do lenders look at my taxes? Yes, your lender will look at the previous two years’ tax returns. Tax returns are utilized to analyze a borrower’s income to make sure that it is consistent and adequate to pay down the mortgage. What are reserves and why do they matter? Reserves include all of the money that you have sitting in your financial accounts. Your lender will assess the amount of reserves that you have, and ensure that you have enough reserves to cover several months of mortgage payments in order to discourage defaulting on the loan. Do you offer home equity line of credit (HELOC) loans? Yes, we offer home equity line of credit loans. You can use HELOCs just as you would a credit account. However, your home serves as the collateral for the loan, and you can borrow far more, which means that you may attain a jumbo HELOC loan. HELOC loans are also a bit different from regular credit accounts because you may have a minimum borrowed limit, a minimum amount required for withdrawal every time you borrow money from the account. If you open up a HELOC account, you may be issued a credit card, and/or checks to utilize the money. HELOC loans do have a termination date, at which the loan must be paid in full, or your lender may allow for a renewal of the credit line. Can I use jumbo loan funds for a home remodel? Yes, jumbo mortgages are available for home remodeling. 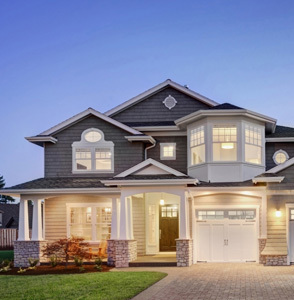 You can utilize a jumbo home loan to fund certain home improvement projects. Talk with your lender here at MortgageBase to learn more about jumbo loans for renovations. Why is my lender requesting two appraisals? For loans exceeding one million dollars, lenders often request a second appraisal of the home to ensure that the property is truly worth the value at which it’s being purchased. Since the home serves as collateral to the lender, it’s important to have a fair assessment of the home value should the borrower default on their loan. Is there more scrutiny if I borrow more money? Yes, since your lender is assuming more of a risk, they will be more thorough in analyzing your financial situation. Once again, for loans exceeding one million dollars, your lender may require a lower debt-to-income ratio and higher credit score from the homebuyer. For competitive rates, a swift turnaround time, and unbeatable customer service, count on your lender here at MortgageBase. We have a variety of loan options perfectly suited to your needs. With over two decades of experience offering jumbo mortgages we’re certain that you’ll be satisfied with your home loan. Learn more about us here at MortgageBase, and get in touch with us today if you have any questions or if you’re ready to get started! 1 Subject to credit and property approval. Rates, program terms, and conditions are subject to change without notice. Not all products are available in all states and for all loan amounts. Other restrictions and limitations may apply. The actual terms of the loan will depend upon the specific characteristics of the loan transaction, the applicant’s credit history, and other financial circumstances that may apply. Even if your new loan has a lower rate or payment, refinancing may be more expensive. Things like extending your loan term or financing closing costs can increase the total amount of interest you are required to pay. In addition, you should always consider the risks of refinancing to an adjustable rate loan, as higher interest rates in the future may result in you paying more on the new loan. 2 Servicemembers on active duty and their co-borrowers should consult a legal advisor about whether refinancing their current loan may result in loss of benefits to which they may be entitled under the Servicemembers Civil Relief Act or applicable state law. 1 The line of credit offers variable Annual Percentage Rates (APR) from 1.990% to 3.375% as of 09/04/2015.3 Variable APR changes monthly. Not all clients will qualify for the lowest rate. Rates may increase to a maximum of 15%. During the 10- year draw period, there is a $50 annual fee. First lien home equity line of credit available in AZ, CA, CO, CT, DC, FL, GA, MA, MD, MO, NC, NJ, NY, PA, RI, VA, and WA. Please contact us for more details. You should consult a tax advisor regarding the deductibility of interest and charges. The variable APR range of 1.99% – 3.375% is available to borrowers with FICO scores of 720-760 or higher, and loan to value ratios of 70.00%-89.90% with a total line amount equal to or greater than $500,000. Line must be secured by 1-unit single family residence. The line of credit has estimated origination and closing fees ranging from $0 to $8,335, based on a representative line amount of $600,000 to $800,000, though your actual costs may be higher. Transfer taxes may also apply. This estimate does not include hazard or flood insurance that you must carry on the property. 2. Rates will not change from state to state but APR may vary by state and county due to 3rd party fees. All quotes reflect a 30 year term. Payments received after the 15th of the month will incur a late payment fee of 5% of the payment. Subject to credit and property approval. Rates, program terms, and conditions are subject to change without notice. Not all products are available in all states and for all loan amounts. Other restrictions and limitations may apply. The actual terms of the loan will depend upon the specific characteristics of the loan transaction, the applicant’s credit history, and other financial circumstances that may apply. Servicemembers on active duty and their co-borrowers should consult a legal advisor about whether refinancing their current loan may result in loss of benefits to which they may be entitled under the Servicemembers Civil Relief Act or applicable state law. The home loan world is full of complex jargon. If you're confused about any of the terms here on our site, don't hesitate to take a quick look at our mortgage glossary. Learn mortgage definitions here. Learn the latest from your jumbo mortgage lender here. Our Interest Only Super Jumbo Mortgages go to 65% Loan to Value to $3 million or higher. Call or request a custom quote for details. Get in touch with us today. Be sure to request a custom mortgage loan quote or call (877) 493-8881 for additional rate options and your specific scenario. Interest only super jumbo mortgages are available!